We already knew that the newly minted Star Wars-owners at Disney are planning a new trilogy, the first film of which will be directed by nerd-king J.J. Abrams. And, big news "Star Wars" fans: Disney, which announced it would buy Lucasfilm last year, plans to make spinoff movies based on characters in addition to the three sequels it had previously announced, CEO Bob Iger told CNBC in an interview after the earnings report. This raises all sorts of questions, the most fun one being: if you could see a spinoff Star Wars film focusing on any character from the films, which one would it be? 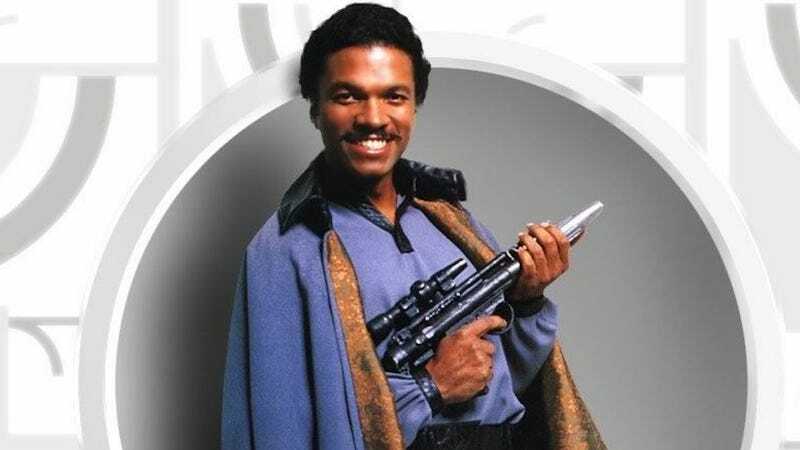 It's a little tough for me since half of my favorite Star Wars characters are from Knights of the Old Republic, but I'd totally watch a spinoff about Lando Calrissian wheeling and dealing, scoundreling it up with the ladies, always with a wink and a million-dollar grin. I'm sure Billy Dee could make a cameo or something. But how about you? What Star Wars spinoff would you like to see?